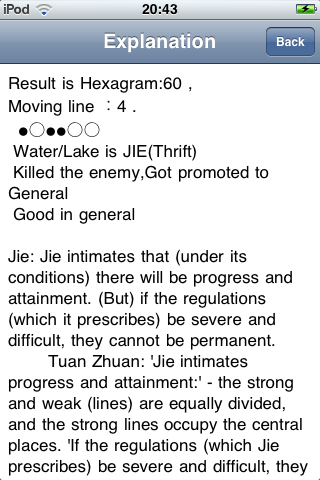 The I Ching , also known as The Book of Changes, is one of the oldest of the Chinese classic texts , and always be treated as the source of all Chinese classic texts . It is considered to be the key of the universal . 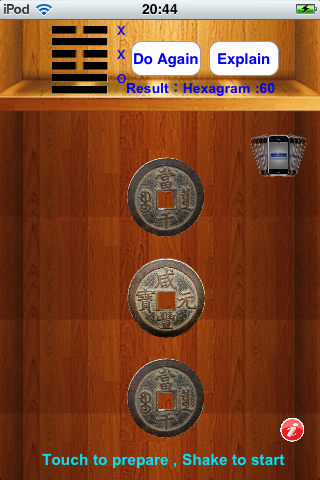 Yi Jing oracle use 3 coins to understand your current status / future images , help you to make decision when facing dilemma . 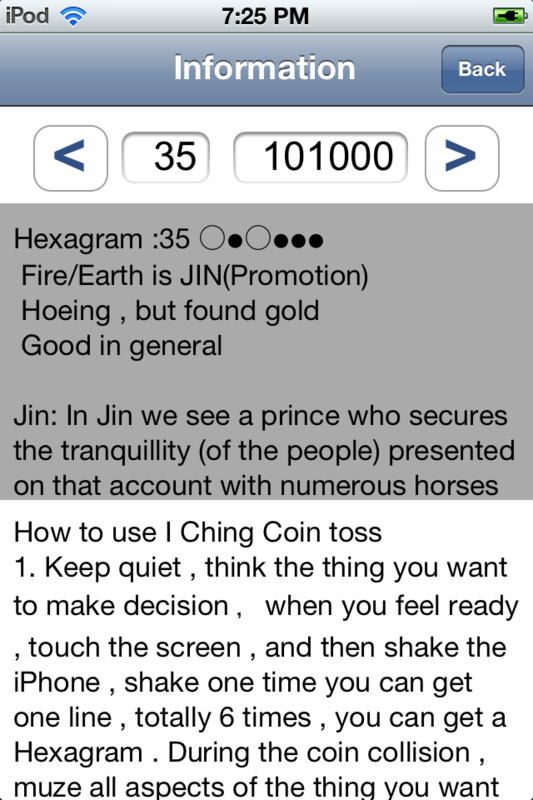 There are quite some I Ching App in App Store , but only this one is the most precise , because it involves user's status through accelerator sensor of iPhone/iPad ! Added a very useful function , that you can input the 64 gua through a binary number and get meeting right away !